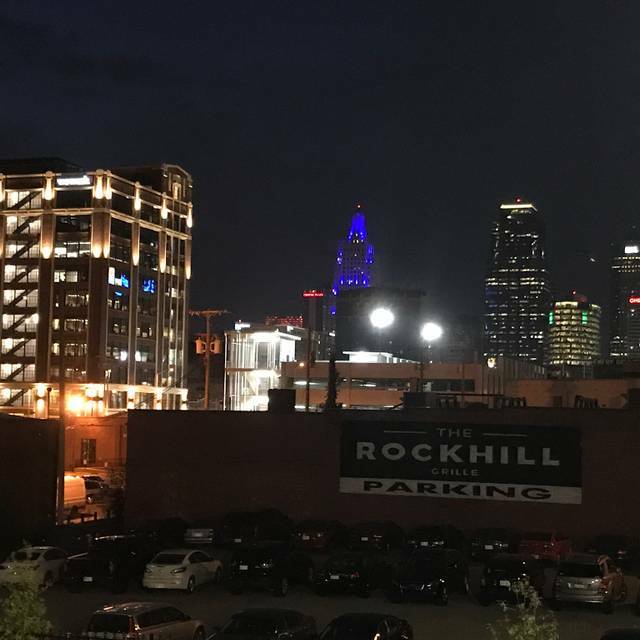 The Rockhill Grille has a private parking lot located across the street from the restaurant, on the NW corner of 20th and Grand Blvd. We are one block East of the KC Light Rail stop at 20th Street. Classic American Restaurant and Lounge in the Kansas City Crossroads Arts District. Easter brunch that was well different than most buffet style! Great food, great setting! Very pleased! Very enjoyable and delicious Easter Brunch. We were early for our reservation and it didn't matter, we were seated immediately. We had 5 in our group and we were all happy with our selections. The waitress was attentive and knowledgeable. Not at all disappointed. There was some confusion about my Open Table reservation. I reserved for two people but the restaurant had my reservation recorded as a group of 5. I am not sure where the miscommunication occurred. I always recommend The Rockhill to my friends. We brought 3 people with us for brunch who hadn't heard of it before and they LOVED it. The husband said that he appreciated the thought in the plating presentation and quality of the food. And he's super picky. Parking is nonexistent and it was too noisy to have a conversation over lunch. Here in KC on business with a small group. 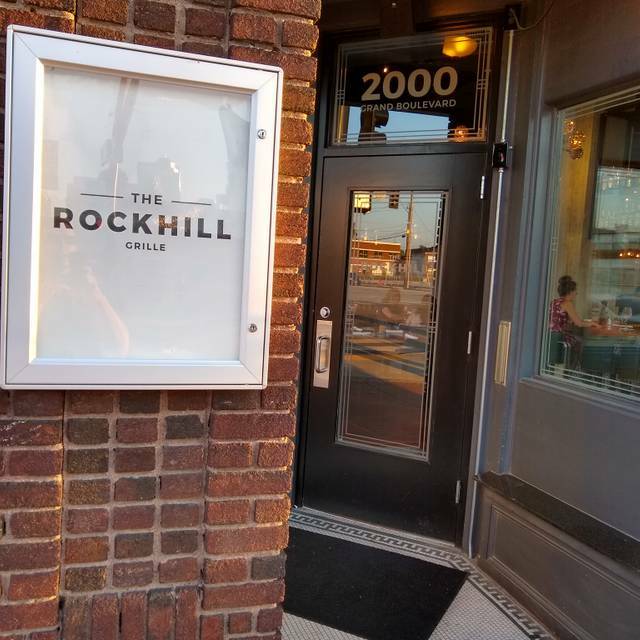 We were able to have a nice meal, good wine and great conversation while at Rockhill Grille. Thank you. Absolutely thrilled with this experience! The owner Bret visited with our group of 4 "older ladies." Best salmon, Brussel sprout salad ever! The key lime pie was to die for!!! Our first visit and we were not disappointed. The derby was excellent and the food was very well prepared and delicious. 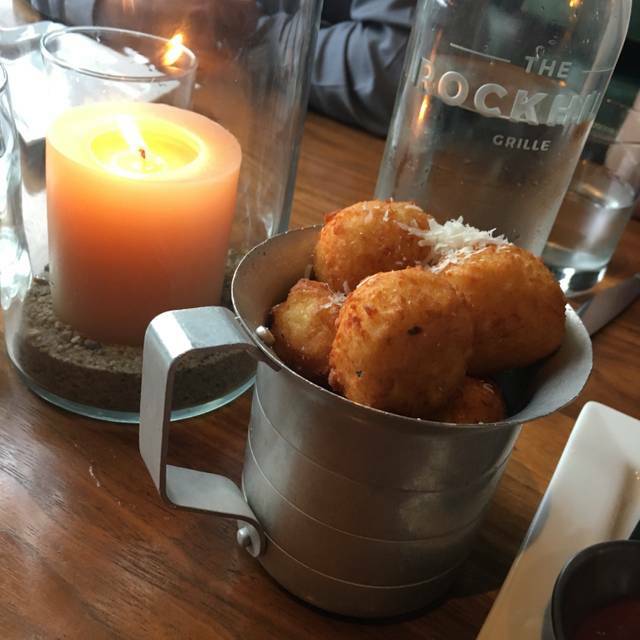 Try the homemade tator tots, they’re wonderful! I enjoy this place and they updated the menus. It is always a very loud, and sometimes difficult to have conversations, but they may have updated that with the booths. Parking also changed over the past few months, so you may no longer park in the lot, but valet is available. Loved their house salad. The croutons are cornbread or something, so delicious! We had the cheeseburger and the brussel sprout salad...both were delicious. The service and the cocktails were top-notch. We were pleasantly surprised. Great atmosphere! 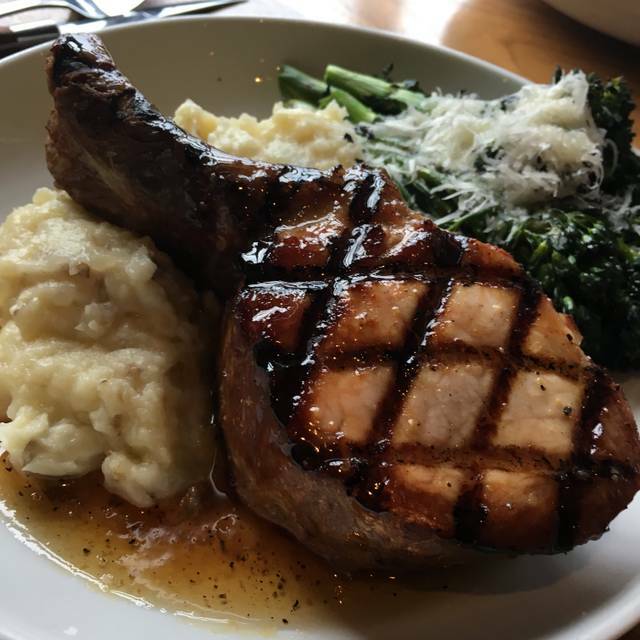 Pork chop is well worth the value, only complaint is that the mashed potatoes were a little bland. Beautiful space and excellent cocktails and service. But the food .... the smell of truffles in the restaurant was overpowering (scallop dish) and my food was not something I would order again. I was excited about the veggie burger bc it was artichoke based but it and the bun were mushy -and lacked flavor. I was also excited about the tater tots but the same was true for them .... mushy and no flavor. The server was highly responsive and nice about this and I ordered the bruschetta to replace my meal. Sadly .... mushy and not flavorful. It was texture thing primarily but flavor also wasn’t great for any of the items. I would go backs for drinks and maybe an appetizer but I think I’ll skip the main dishes. The food and adult beverages were awesome! I recommended this place for brunch and it exceeded my family’s expectations. We loved our server and my aunt could not stop talking about how much she loved her cocktail and the music selection. The food was phenomenal as usual and I’m glad we stopped in. Was live and fun even on a cloudy day. Thank you for another lovely experience, Rockhill! It was my birthday and we had an amazing time. Our server was fantastic! Food and drinks were excellent. We were here the night before a friends wedding, many of us first time diners. We had some last minute additions to our party, which the hostess was fine with as long as we didn’t mind “squeezing” (which we didn’t mind). Upon arrival, our waitress Ariel refused to serve us, stating it was “company policy” that only 6 of us could be served in a booth. We were able to go upstairs to the lounge and ended up crammed at a table. However, we ended up with an AMAZING waiter named Trevor, who completely revived the experience. We reserved the eight person table for a post work meeting dinner. Had wonderful bourbon selection. Those who ordered the ribeye reported it was delicious and done properly. As a group we ordered the tator tots and pigs ears. The tots were perfect, stuffed with cheese and tasty. I didn’t sample the pig ears, but for rest of group it was a hit. I had the halibut special with shrimp which was cooked just right without any bones. Definitely would come back here again next time visiting KC. We were there around 6:30 and found it comfortably quiet, but with nice ambiance. 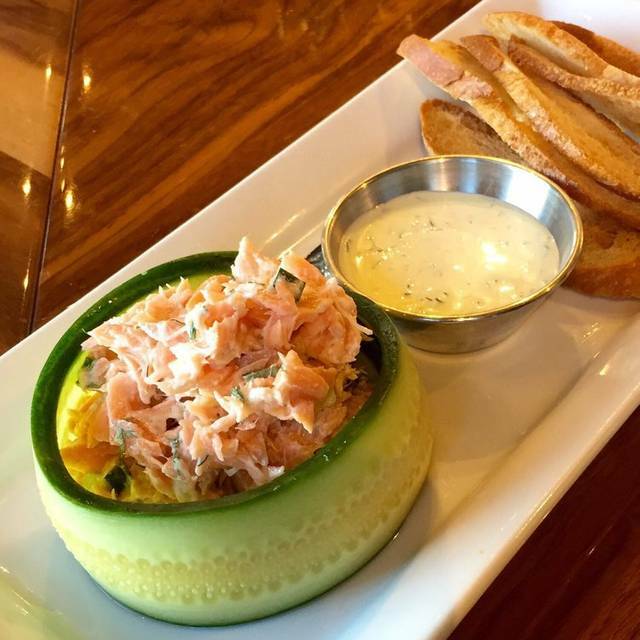 The smoked salmon is fantastic. Perfectly prepared and bountiful. 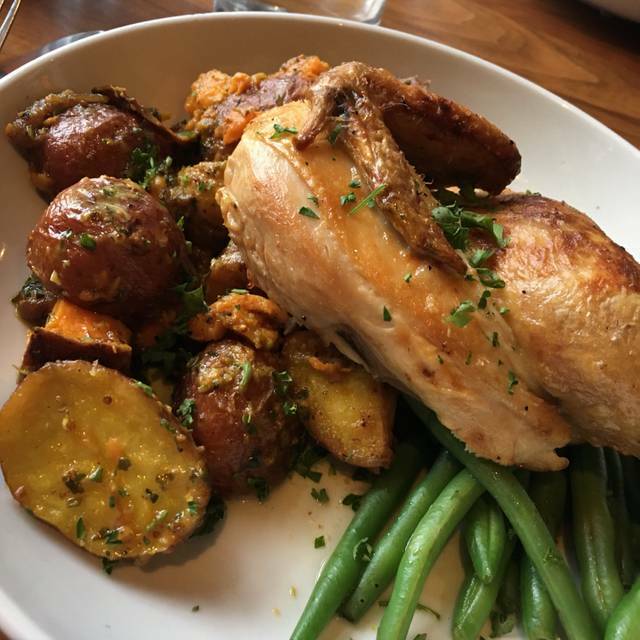 The roast chicken is delicious, with potatoes and green beans. Altogether, a wonderful meal. This place is a MUST!!! My boyfriend and I wanted to celebrate spring break with a nice brunch and this place hit the spot. We split the cinnamon roll, tater tots, and the biscuits and gravy. We also got mimosas, coffee and tea. Let me tell you, this place had the best food we have had in so long! We ate every bite! Our server was wonderful and we just had the best time! Second time at the restaurant. Great food, service and atmosphere. Great casual setting for meeting friends and celebrating moments. Service is super friendly and attentive. The drink, appetizer, and meals took way too long! The restaurant itself is gorgeous but, the turnaround time and lack of caring will have us looking at something different next time. Food is amazing, service is UNREAL. One of the best lunch/dinner spots. 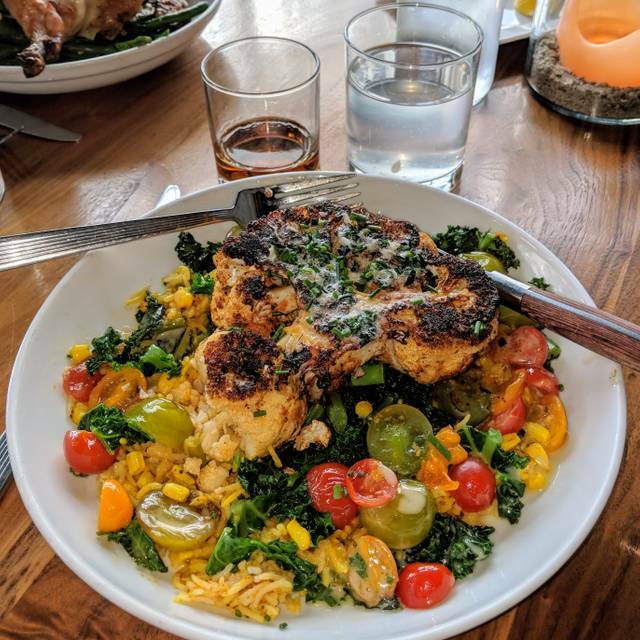 Amazing, you have to try the pork chop it is sublime and we will all be going back. Love this restaurant! Food is great and service is wonderful. Can’t wait for the warm weather to see their large doors open up. Great experience! Outstanding service! We will be back. Great waitress, attentive, but not intrusive. Good drinks & food. Will go back. Delicious, awesome drinks & the dessert was amazing! Our experience was excellent! The food was very good, as was the service. A nice friendly atmosphere with good service but not a feeling of being rushed. 6 of us went to dinner - the only option for 6 is a booth. We would have preferred a table and they offered to out something together in the upstairs bar but we opted to keep the booth. The food was all very good - highly recommend the brussell sprout salad, shrimp creole, chicken and filet. 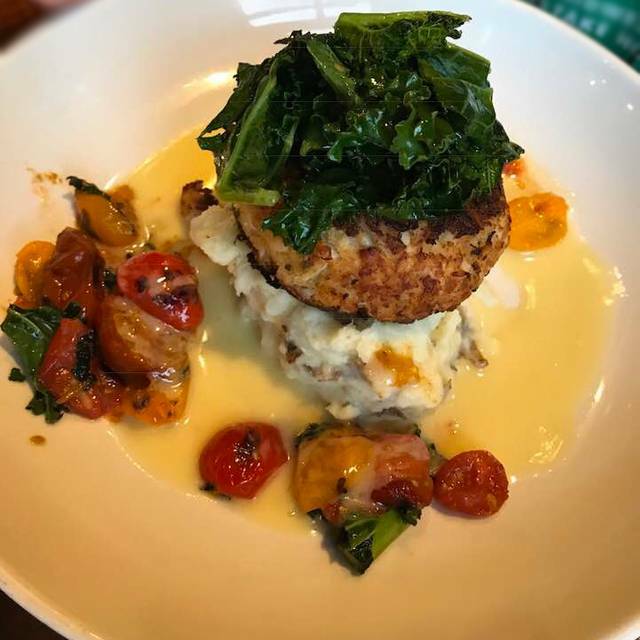 We always have a great time at Rockhill Grille! 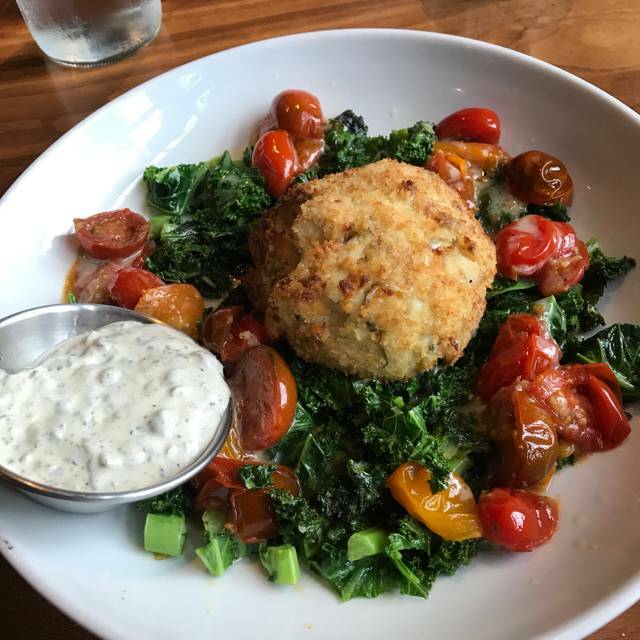 The service is outstanding and the food is always delicious! My favorite place!